UK Release Date - 1st July 1996. US Release Date - 27th May 1996. Engineered By - Vivian Campbell (Track 04). Live Track 03 - Recorded 26th October 1995 in Singapore. Live Tracks 07/08/09 - Recorded 10th October 1995 in London, England. Special Formats - UK CD2 Limited Edition with Four Collector's Album Cover Postcards (1-4). The second single from 'Slang' was released in July 1996. 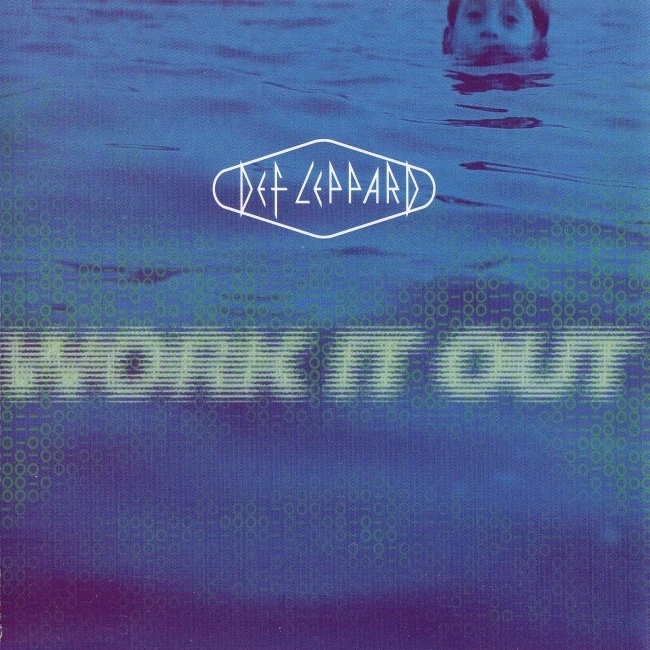 'Work It Out' was the first song written for Def Leppard by Vivian Campbell. It was also the lead single in the USA, The song reached number 22 on the UK Top 40 following on from the success of the title track. Another two UK CD singles were released. CD2 was a Limited Edition in a jewel album case featuring part one of the Def Leppard album postcards set. Four postcards for the albums On Through The Night/High 'n' Dry/Pyromania/Hysteria with band comments on the reverse. On the UK CD1 the live acoustic version of 'Two Steps Behind' is incorrectly listed as being from the BBC. It is actually from Singapore, the same as on the Slang bonus CD. Two demo versions of Slang album tracks were also included as well as a new track by Phil Collen with him on lead vocals. The promo CDs featured an edit of the single.